Dylan was a great success and a wonderful experience for our students. DYLAN is set in 1950’s Wales and America, during the time when Dylan Thomas was traveling between the two countries and cultures on an extended poetry tour that turned into an outlet for his chaotic, alcoholic nature. Dylan Thomas was a deeply passionate, emotional writer who is remembered for his intensely personal and lyrical style. He is frequently mentioned in the company of other such respected poets as T.S. Eliot, Robert Frost, and William Butler Yeats in lists of the most important poets of the twentieth century. To this day, he remains the outstanding figure in Anglo-Welsh literature. He is best known for his poems And Death Shall Have No Dominion and Do Not Go Gentle Into That Good Night, as well as the short story A Child’s Christmas in Wales and the remarkable radio play, Under Milkwood, which later became a stage play, and then a film. With Mark Cajigao*, Connor Carew*, Whitney Conkling, Rachel Cornish*, Alex Herrald, Iris McQuillan-Grace, Donaldo Prescod, Courtney Renee’ Stallings*, Patrick Williams. 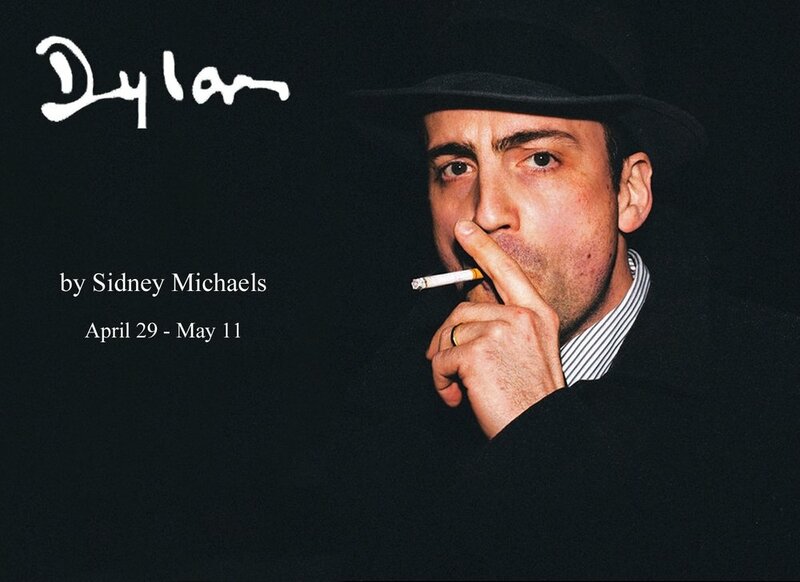 DYLAN is presented by special arrangement with SAMUEL FRENCH, INC.